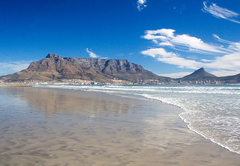 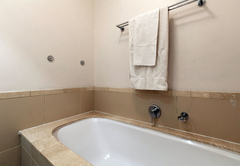 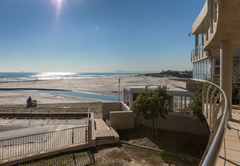 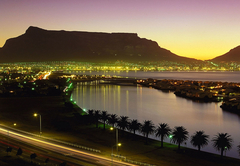 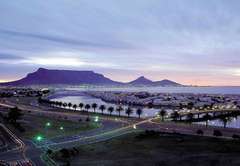 136 Lagoon Beach is a property providing self catering in Milnerton for up to 4 guests visiting the Blaauwberg region. 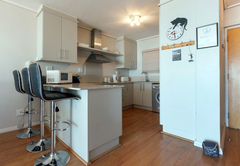 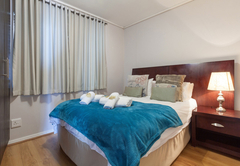 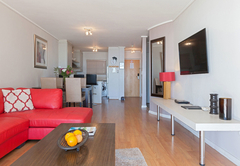 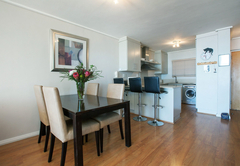 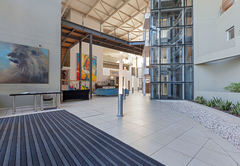 136 Lagoon Beach is a modern, fully furnished self catering holiday apartment situated within a fully serviced hotel complex right on the Milnerton beachfront. 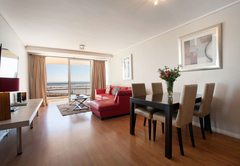 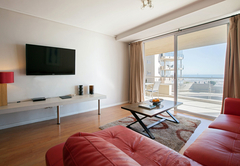 The apartment offers a relaxed atmosphere with views across one of the pools towards Lagoon Beach. 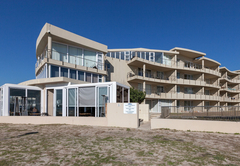 It is only minutes away from the CBD and the complex is one of the very few spots with no road between you and the beach. 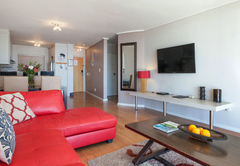 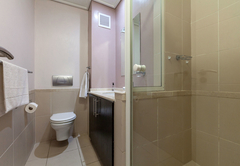 This two bedroom apartment sleeps four people and has a fully equipped kitchen, lounge with DStv, a dining area and two bathrooms. 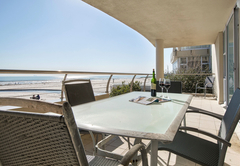 There is a balcony boasting exceptional views. 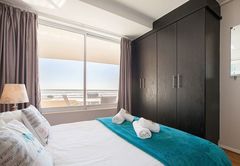 Guests can relax at the pool, use the 24 hour gym or enjoy a range of relaxation treatments at the hotel’s Camelot Spa, including massages, facials and body wraps. 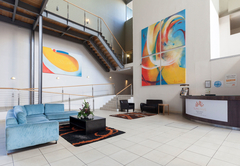 This can all be arranged via reception – charges do apply. 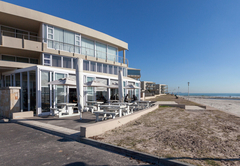 Lagoon Beach has three on-site restaurants. 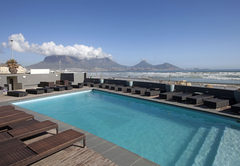 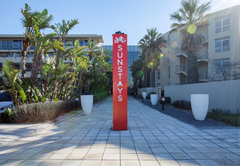 There is a brasserie, a pool side bar and the trendy La Mizu beach bar offering views of the Atlantic Ocean and Robben Island. 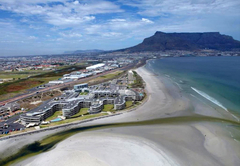 Response time136 Lagoon Beach typically responds to requests in 5-10 minutes.